3.5L Engines - What's so great about cold air intakes? Cold air is much denser than hot, humid air and holds more oxygen. More oxygen going into an engine equals more combustion, thus more power. 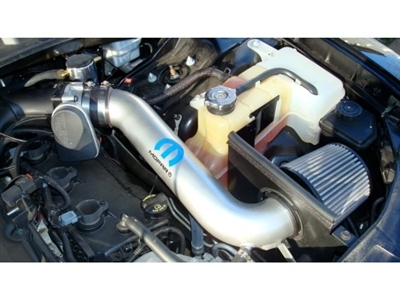 The Mopar Cold Air Intake System increases airflow by as much as 20%, boosting torque up to ten lbs., and power by nearly ten horsepower. All of this while improving fuel economy (one to two mpg depending on driving style). Air filters are high-flow and low-restriction, offer better throttle response and increased filtration and horsepower. Filters are made of a new dry media material which is washable and reusable. Do not oil dry media filters.